One winner will be chosen at random on Saturday, April 27th, 2019. And by the way, you can’t use, “a rod, line, and a fly” as your answer! 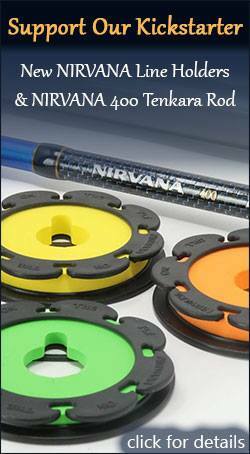 The winner will be notified by email and announced on the TenkaraTalk Facebook page. 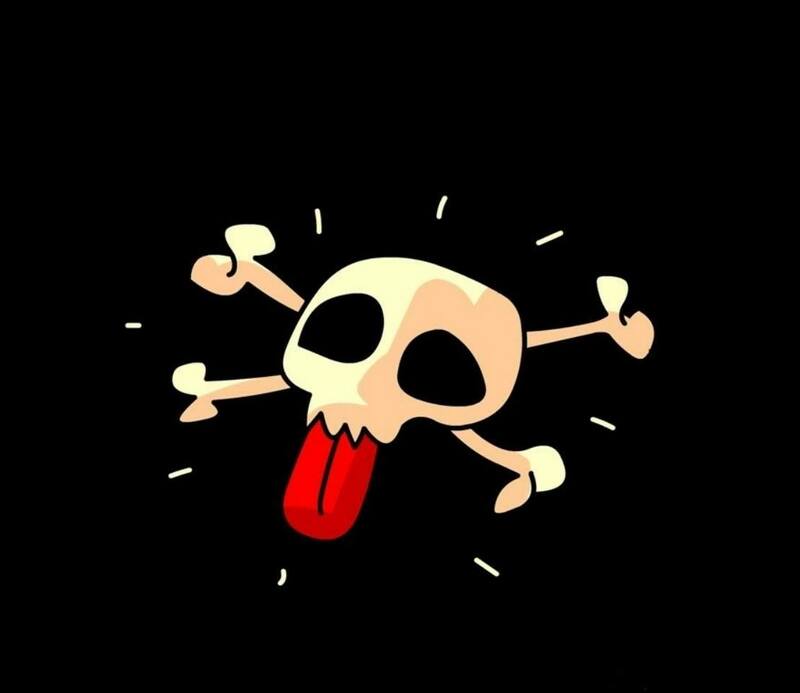 Good luck everyone and remember, you need to leave your comment on this blog, not on Facebook or Twitter. Tenkara is my preferred bringer of pleasure and pain. One stream, a tenkara forever a changed man. Tenkara, let me Feeling very relaxed! 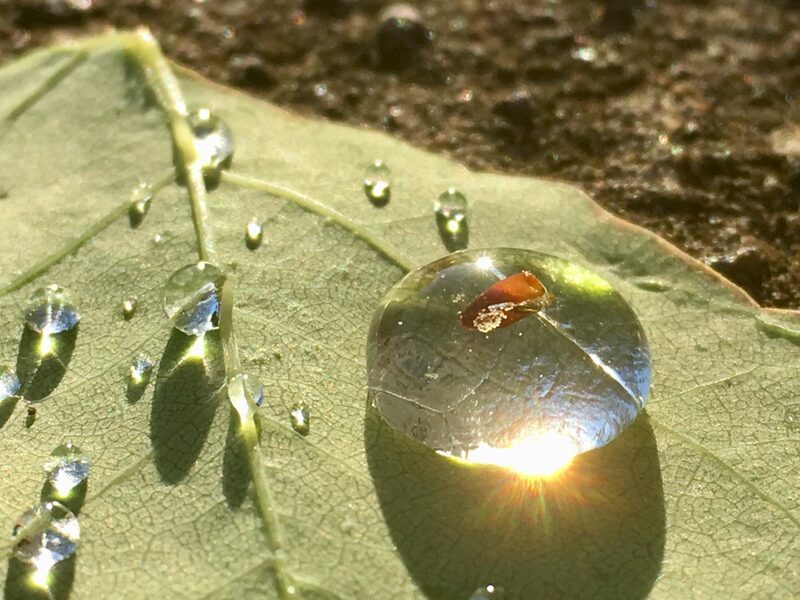 Tenkara- has no boundaries, it is in all of us. The Minimalist fishing, Stylist, Enabler and Effective for all. 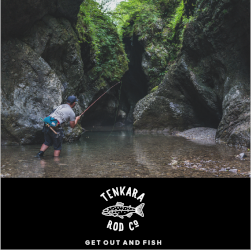 Tenkara is journey to discover your rhythm with nature. 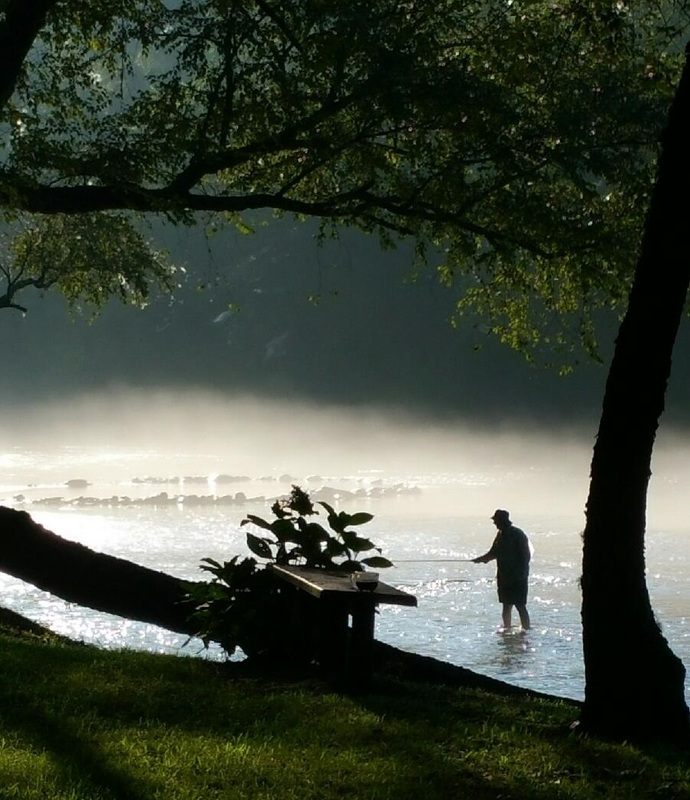 Solitude, peace, nature, focus … Fish ON!! Keep your friends close and your Tenkara closer. Keep tenkara all your life! 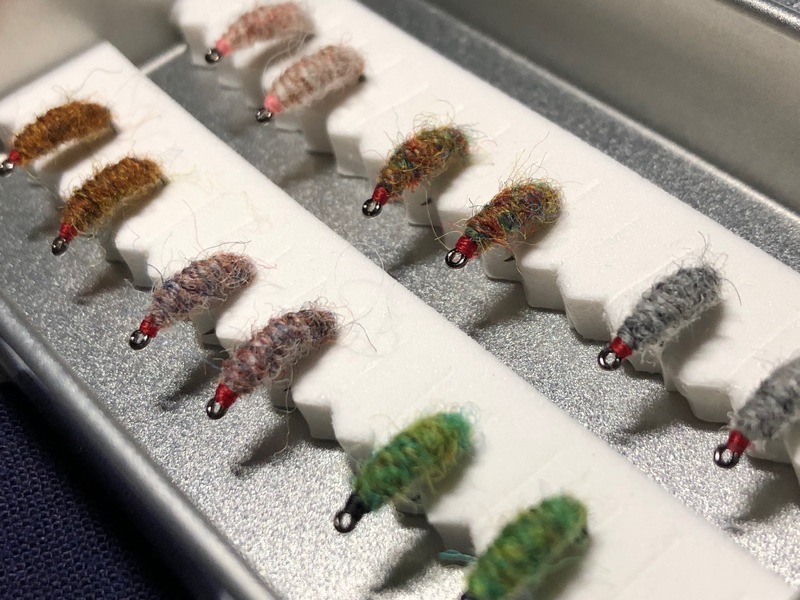 The best fun in the sport of fishing with flies! Tenkara, a simple way of fishing that sets me free! Tenkara: keep it simple old sage! Tenkara, so easy a caveman can do it. When it comes to simplicity and fun, TENKARA is the word. A great way to enjoy nature and fish simply !! uncluttered contact with the quarry, uncluttered mind for the task. Using less, to fish more and have more fun! 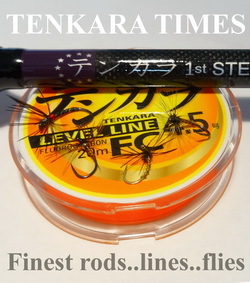 Tenkara … Fish more – fuss less. That was obviously a tip of the cap to the currently closing Badger Tenkara Co.
Focus on the fishing and the beauty, not the gear. Tenkara. A question. How can I trick the wily trout? Catch and Release was never more fun! Fly fishing; elevated to the basics. I have enough complexity in my life. Give me Tenkara! 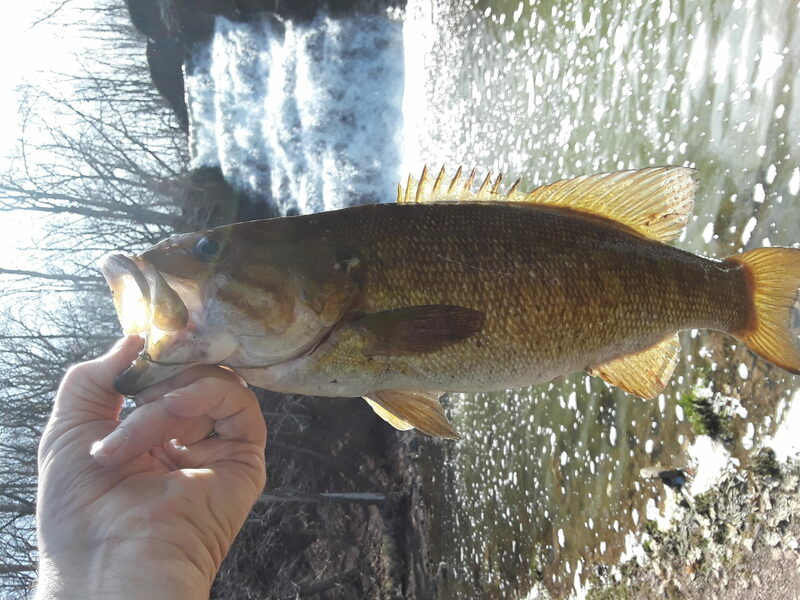 My light and easy companion with an instinctive fish connection. Get the drift you always wanted and needed. 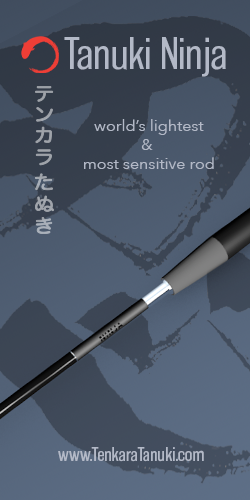 Tenkara is simple, easy, light, fast, precise and friendly user. Simplicity of cane poles without the stigma of low cost. Lightly dancing on a stream. The simplicity and peacefulness of being alone free enjoying nature..
Catching fish and snagging higher tree limbs than ever before. A method of simple, elegant and effective fly delivery. Simpleness and Peacefulness with brief moments of controlled Chaos..
Tankara; a simple liberating method for all fishers. My Tenkara goes to Eleven. Tenkara, The art of bashing orvis and catching more fish! Tenkara; one with nature and peace. 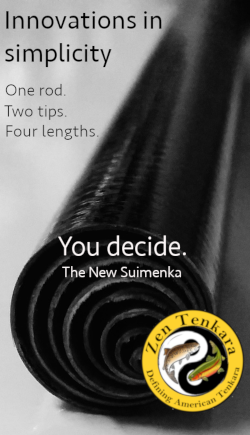 Tenkara, easy to get started but a lifetime to master. Tenkara is Samurai Sword crossed with a Ronco Pocket Fisherman. Tenkara, what a blast, it’s what I love doing. Tenkara, it gets me up each morning. Tenkara focuses me on the fish and it’s environment. Tenkara, a great way to get into fly fishing. 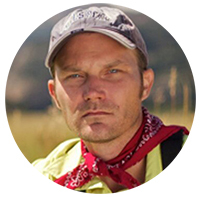 Dramatically reduce unnecessary complexity to focus on intentional fly fishing. 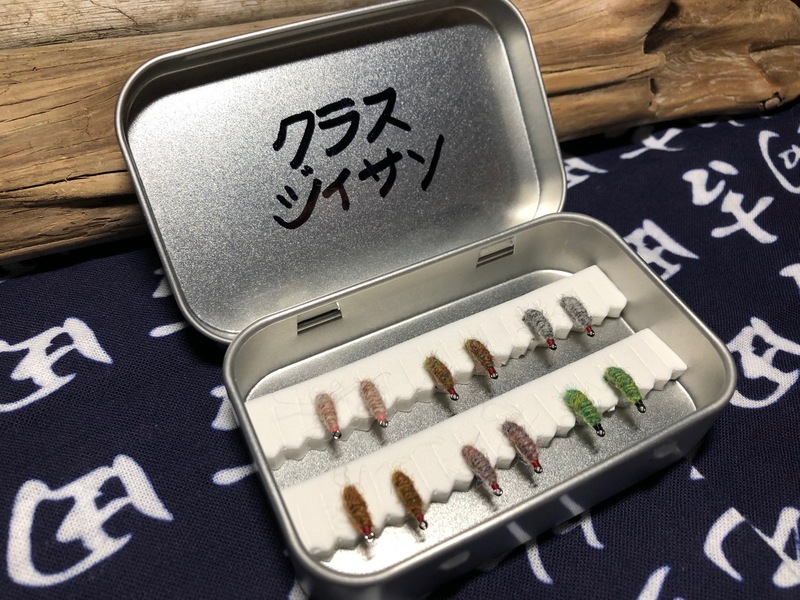 Tenkara is a tiny parachute of persuasive presentation. Simplistic art of presenting aquatic insects over riffles and pools. Pragmatic method of making a living on Japanese mountain streams. Tenkara is unknown to me, but soon to be not.